The Mustang hits the track for the first time without camo. Defending champion Scott McLaughlin declares it a "weapon". In camouflaged guise, the Mustang sparked gasps across the nation over its stretched and swollen body shape. The Mustang continues to split Ford fans. 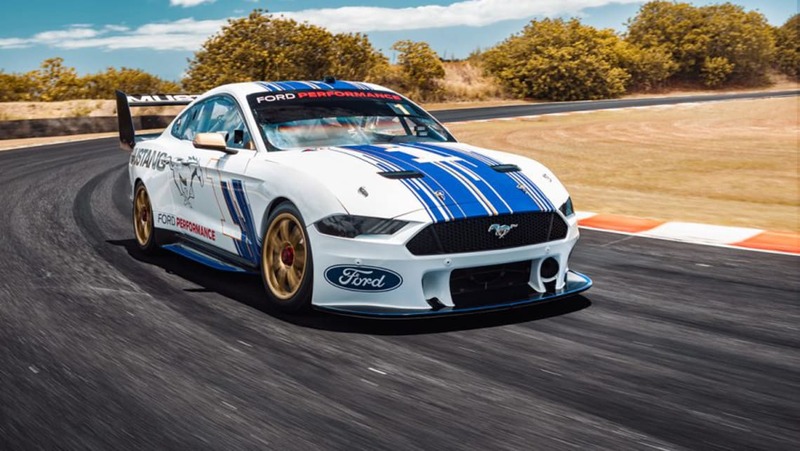 Here it is, folks; your first proper look at the Ford Mustang Supercar that will race in the 2019 Supercars Championship. You remember it, I'm sure. This was the very car that, when revealed in camouflaged guise, sparked gasps across the nation over its stretched and swollen body shape that looked little like its road-going namesake. The reason is that it's not actually a liveried Mustang, but rather stretches those styling influences over Supercars' Gen 2 control chassis (one originally designed for a four-door sedan). But, from where we're sitting at least, this finished product looks a lot sweeter than that camouflaged car. 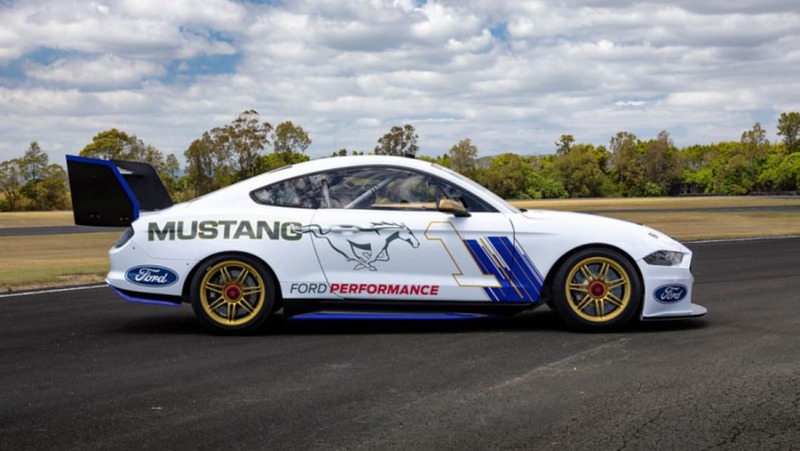 “Today is when we show the fans what the Mustang Supercar really looks like, ready for the 2019 Virgin Australia Supercars Championship,” says Shell V-Power Racing Team Principal, Ryan Story. 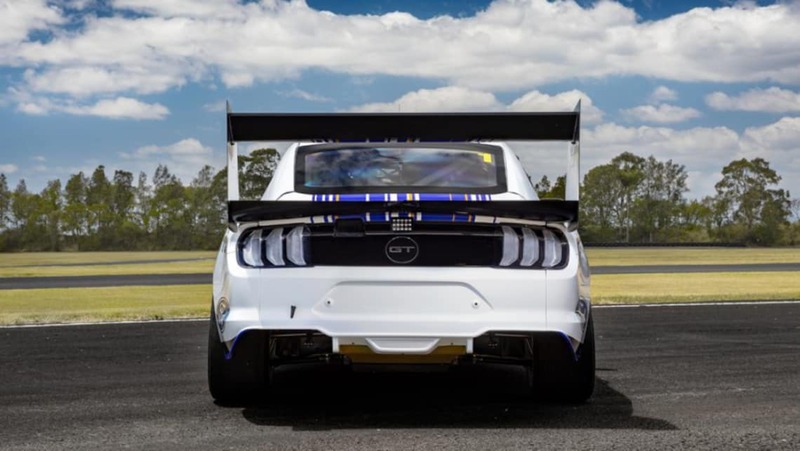 In total, six Mustangs will enter the 2019 series, and we'll see what each will look like in their liveries at the Phillip Island test event on February 14. “This is an historic moment,” says Ford Australia president and CEO, Kay Hart. "To see the project come together has been incredibly exciting for everyone involved, and today marks the start of Mustang’s 2019 season. Mustang belongs on the track and everyone at Ford and our fans have been waiting for this moment." 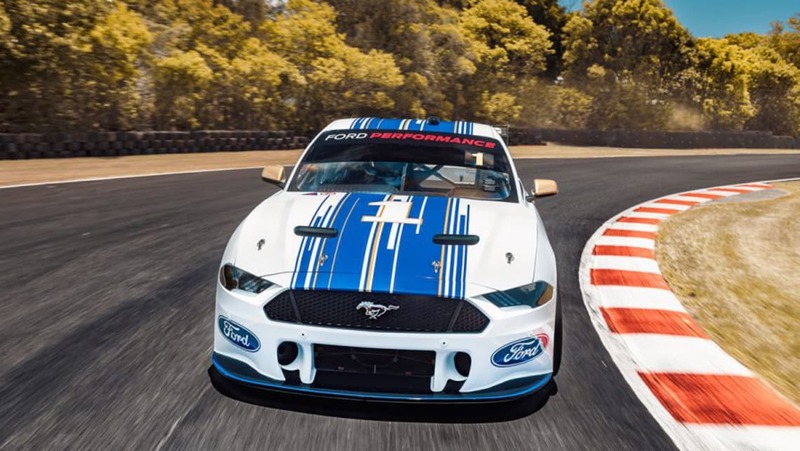 But while the looks might split fans, it seems the drivers are excited at the prospect of piloting the Mustang this year, with 2018 champion Scott McLaughlin declaring it a "weapon". “Being able to defend my title in the new Ford Mustang as it returns to touring car racing in Australia is very exciting for me, for the team, and everyone that’s in a Ford Mustang," he says. “I think we’ve got a weapon on our hands and I’m just looking forward to getting on with it. What do you think of the look of Supercars' Mustang? Tell us in the comments below.